It´s a detached house in the south coast of Spain, in the city o Málaga, in “Costa del Sol”. 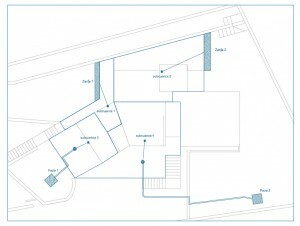 It has 850m2 of field and 250m2 constructed for four people. It has a planted landscape with several spiecies and a 7×4 meters pool. Will be installed efficient plumbing devices. Aerators on faucets and showers. Recirculating hot water (DHW) . This is especially necessary because of the location of thermal solar heater, located relatively far from the points of consumption . It has been estimated that the waste of water per shower waiting for the right temperature is 18 liters.. The swimming pool is 29m2 plant and has a volume of 43 m3. We evaluate the effectiveness in avoid evaporation of the pool, by installing a cover in the months not used. 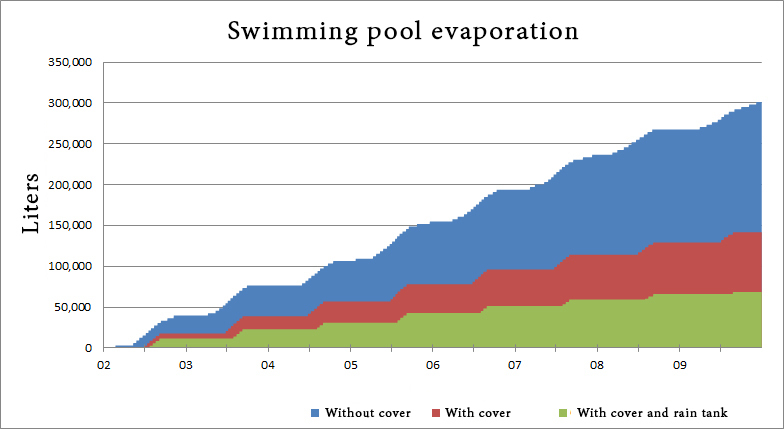 In addition we have studied the possibility of collecting rainwater on the pool cover during winter, to refill it in summer. The evolution of water consumption of the pool for the three scenarios studied allows us to notice the importance of this expense, usually neglected. The garden is one of the biggest expenses of household water, so an optimization of the irrigation network and a study of the water needs of the plants is basic and very cost effective. Making a balance of water in the soil we can characterize the consumption and water available so only use water required. In that case, by optimization of irrigation,savings of 25-30% is estimated. The usual problem in gardens is the mixture of species with different water needs , which often results in low efficiency in irrigation unless the irrigation network in great detail is designed. In this house there and vegetation so it has not been acted on garden design , has designed a drip irrigation network covering the water needs of each area of ​​the garden in a very efficient manner. There is a grass surface of 59 m2 to be underground irrigated, much increasing efficiency with respect to the sprinkler system. Another cause of low efficiency in the use of water for garden watering operations are usually using frequency and run times based on intuition and observation. The custom irrigation schedule provides guidance on watering operations . 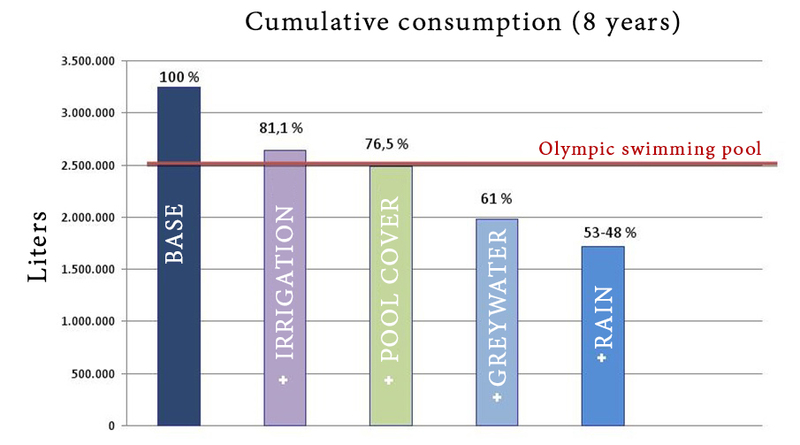 With a collection surface of 189 m2 we have a potential 104,000 m3 per year average volume of rainwater. It is a fairly large volume, but due to irregular rains, is required a high capacity storage . It is estimated that the optimum tank volume should be 30 m3 . Treat and reuse water from bathrooms and kitchen is a measure that can save a lot of water. By installing a compact treatment system we can give back to adequate levels of water quality for certain uses such as refilling the toilet tanks, watering gardens and cleaning. Treatment of gray water (from the sink and shower) .. Slightly polluted, so it is required a simpler treatment. Would be used to recharge the tanks saving 30 % consumption. We studied the different options to save water, from a holistic point of view . To summarize , let’s recap the possible measures to be taken to a more rational use of water. 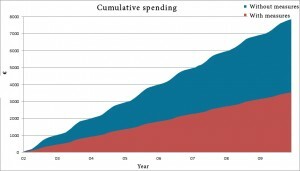 The order of the steps is given by the effectiveness of the same combined with its ease of implementation. To evaluate each measurement is made a mathematical simulation, , with our own software, in a daily scale for eight years. This allows us to take a holistic view of the water cycle in housing under real conditions. Based on the data revealed by the simulation, we have decided the following actions. 1 – Use aerators on faucets sinks and shower . 2 – Use dual-flush toilets and install male urinals. 3 – Install a recirculation system for domestic hot water. 4 – Install a removable cover for the pool. 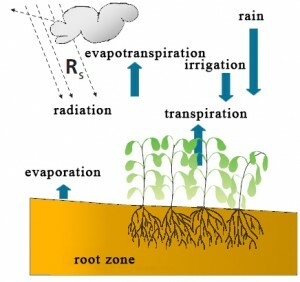 5 – Implement an optimized irrigation. 6 – Install a system for recycling gray water , which feed the flushing toilets . 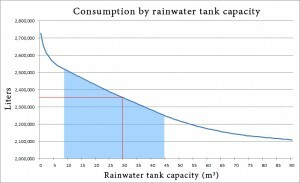 7 – Rainwater harvesting for irrigation. Sustainable use of water has not only environmental benefits, but also economic. Applying water tariffs in Malaga city , we calculate the cost of water if no action is taken, and which would have with each one. These savings are calculated with current rates,they will be increased in the future due to increased water prices that provide all the specialized agencies. 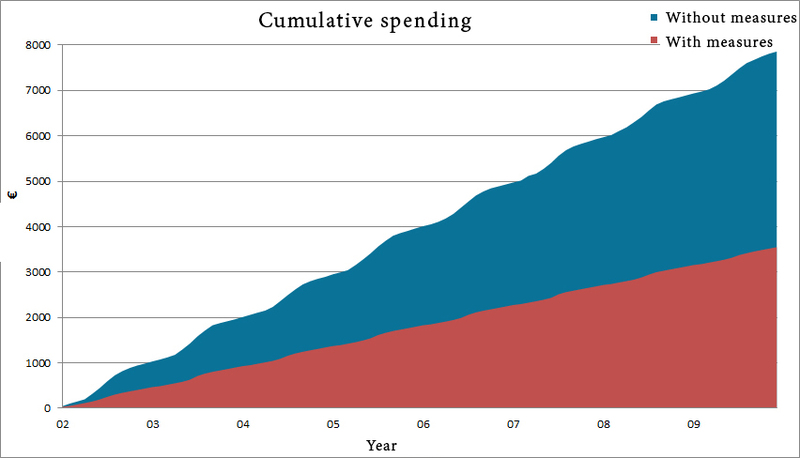 The expected payback period is about 6 years. • Make a more efficient water use, reduce our water demand by more than 50 %..
• Minimize the burden on the general distribution network and wastewater treatment , contributing to its better performance. • Reduce the volume of runoff and the peaks in the drainage network, recharging aquifers..
• Reduce pollution from runoff . • Improve plant vigor inducing a better water status and increase the supply of nutrients to the soil in a natural way. • Save money, over 67% on your water bill . 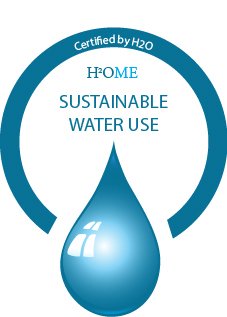 Basen on the goals achieved and in recognition of the efforts of architects and developers, H2O Hidrología Sostenible certify that the project is sustainable in water use.